This is the last roundup before it’s officially 2017, and things were expectedly a bit slow in terms of new videos. 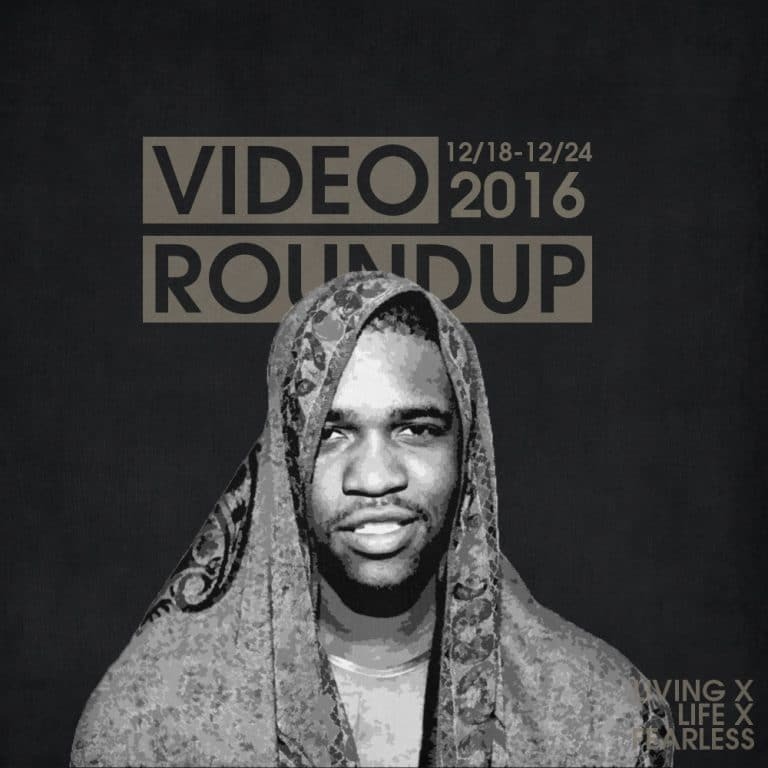 But I rounded up some decent ones from Dej Loaf, T.I., Cozz, A$AP Ferg, and more. Check them all out below along with my reactions. This is basically just a glorified ad for South Africa, and I’d say it does a pretty good job of selling it. The landscapes and vistas are stunning, and Dej Loaf isn’t too bad either. I’ve never really had an opinion about her music either good or bad, but “In Living Color” is cool little song to vibe to. Still doesn’t give me an opinion about her either way though. There’s no way around it, A$AP Ferg’s follow up to his debut was highly underwhelming. It’s not a project I really go back to very often. With that being said “Uzi Gang” was always one of the standouts from the project. Perfect mosh music and he captures that perfectly with the video. T.I. has been on something of a tear lately, coming out of nowhere with this socially charged music. He was definitely one of the last rappers I expected to hear that from, but it’s worth acknowledgement and the music is dope to match. “Switchin Lanes” is some smooth southern rap, and having K.R.I.T. on the track is always a plus. The video is well shot and further highlights interactions with the police. If you didn’t know who dvsn were, you could still probably guess by their sound that they’re part of the OVO stable of artists. The duo are actually really dope, and “With Me” and “Do It Well” are pure R&B fire. They give us a double dose of beautiful women in the video and I’m not even mad. J. Cole’s Dreamville label is full of some very dope up and coming artists, and Cozz is right there poised to blow. It’s just pure hip-hop. The video is a super dope one shot(?) of a typical “hood” environment, but not in a glorifying manner. Yo Gotti is nothing less than consistent and aside from his hilarious assertion that he’s the best rapper alive, Kodak is capable of some pretty catchy hooks. I definitely expect to hear “Weatherman” in the clubs, it’s got that bounce. You could have and probably did guess that there’s girls, jewelry, exotic cars, and money abound. Like I said, he’s consistent. We get two OVO artist’s in one week. Roy Woods revisits his dope Exis Ep with “Go Go Go” in an emotional single room video with Roy obviously going through some emotional pain. He’s a pretty dope artist, but it’s going to be hard for him to separate from the crowd when seemingly everybody has this sound nowadays. DJ Paul will always have my respect for basically creating that whole Three 6 sound back in the day, and Yelawolf (I need that vest BTW), despite his recent problems, will always be highly underrated to me (Love Story was criminally overlooked). Whenever these two get together it typically results in some fire, and “Get Away” didn’t disappoint. The video has their signature dark, grimy feel to it and it captures the feel of the song perfectly.